Rachel has witnessed and experienced profound healing and transformation through Depth Hypnosis and has helped others do the same since 2010. Rachel is committed to supporting her clients in discovering their own inner wisdom, leading them to a life of greater ease, presence, joy and fulfillment. 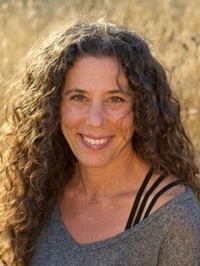 She brings a tremendous amount of knowledge, experience, and heart to all of her work as a depth hypnosis practitioner, childbirth educator, yoga teacher, and creator of Yes To Birth! Audio Relaxation Program. Rachel is known to many as a gifted teacher who also specializes in the areas of anxiety, depression, pregnancy, birth, and postpartum. She has worked in a healing capacity with people of all ages since 2002. Please visit her website for details about the variety of work she does.